Last week I was invited, along with my husband, to Come Wine With Us. 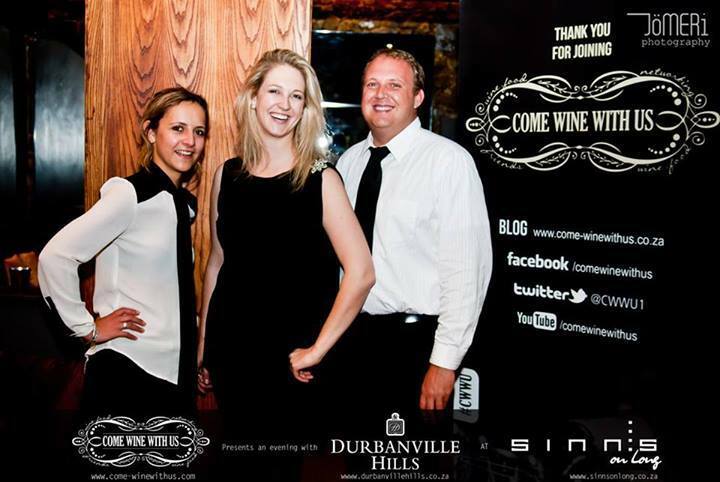 It’s an evening of wine, good food and the opportunity to meet some really great people from all around Cape Town. We laughed all evening and met a HUGE variety of people – online gamblers, an apple farmer, owners of online stores and blogs, an estate agent and an Adidas exec (and that was only a sample of the people there). We met people as we walked in, new people during each course of the 3 courses, in the bathroom and next to the DJ table. 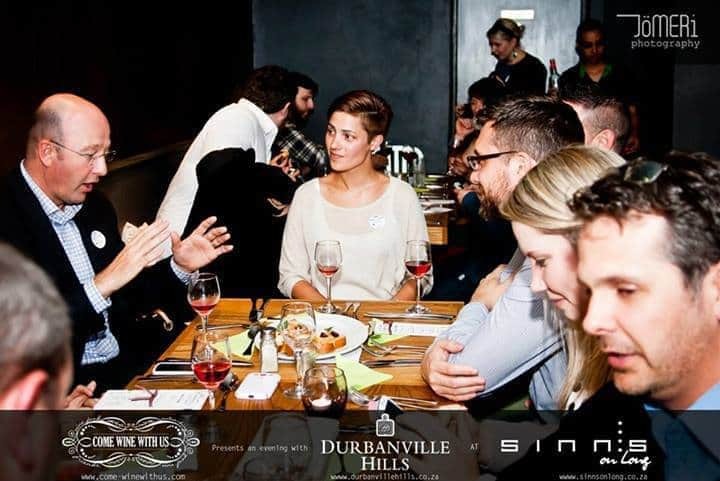 The dinners facilitate a fun way to meet people, learn more about wine and try out some of the fantastic restaurants around Cape Town. Each month #CWWU hosts a dinner with a wine farm presenting their wines, paired with a 3 course meal inspired by the wines that are showcased. 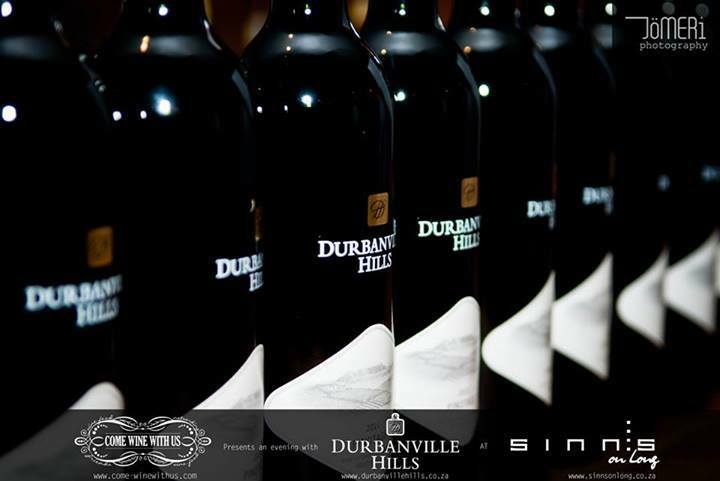 The wines are introduced by a representative from the wine estate, and then the inspiration behind the wine pairings is explained by the restaurant’s chef. The wines this month were from Durbanville Hills Wine Estate, where we started with the Rose as we arrived, enjoyed the Savignon Blanc with our starters, a delicious Merlot with mains and a slightly spicy Pinotage with dessert. 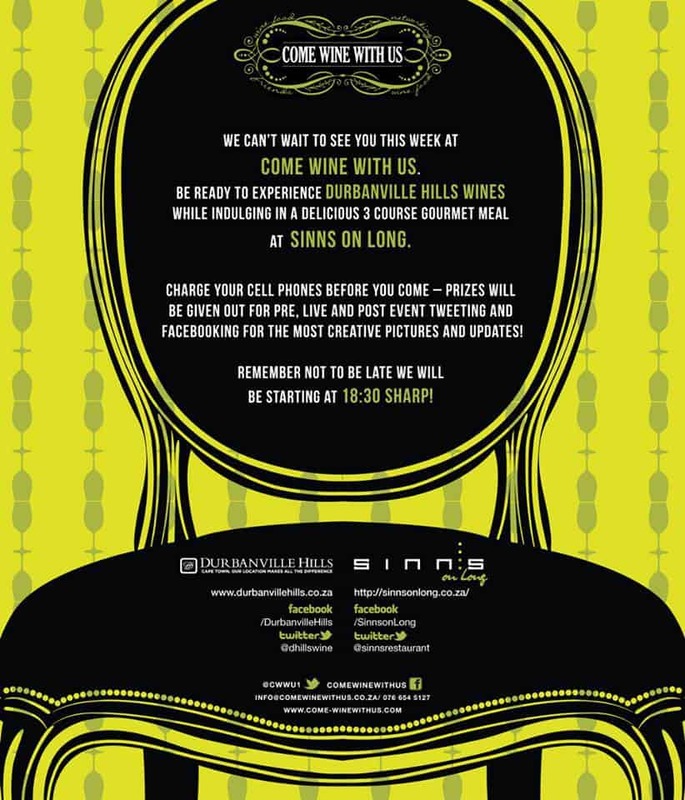 The dinner was held at Sinns On Long, it’s a lovely space towards the top of Long Street, compact with a nice bar area and a couple of smaller rooms that lead into one another. They’ve moved away from their Asian fusion influence with the opening of the new restaurant, focussing more on an Austrian-influenced offering and I’m really looking forward to going back to try the new menu. For the dinner the most inspired pairing was the main course, wild mushroom risotto with Kabeljou (paired with the Merlot) and a red wine jus. It was an interesting pairing, but once you tasted the risotto and the Merlot together – I’d have to say that it was inspired! Dessert was delicious – the Pinotage ice-cream was the perfect high-point to end our dinner.